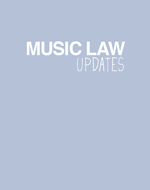 COPYRIGHT Internet The European independent record label’s music agency Merlin has anounced announced a global deal that will license repertoire from hundreds of labels to the YouTube service, effective immediately. The agreement covers thousands of acts, including Yeasayer, Antony and the Johnsons (pictured), Aphex Twin, Prodigy and Grizzly Bear. Among the independent labels involved in this deal are Earache, Secretly Canadian, Ninja Tune, Cooking Vinyl, Warp, Phonofile, Pschent, Morr Music, !K7 and Inertia. The agreement generates revenues to Merlin’s member labels whenever their official releases, or user-generated videos featuring their repertoire, are played via the YouTube service. Merlin has existing deals with a number of digital services including Rdio, Spotify, MySpace Music, Catch Media, Simfy, and Music Unlimited powered by Qriocity. COPYRIGHT Record labels, online Dave Finney, A 60 year old man from Barnsley, South Yorkshire has been given a suspended sentence for selling pirated CDs online. Finney downloaded music from the internet, burned it to CDs, and then sold them via the web, with very little attempt to hide his tracks. After the BPI discovered the operation, police seized his computer equipment and found he had illegally copied more than 200,000 items although despite the high quantities of copies he was making , it is reported that payments taken via PayPal amounted to just over £12,000. The judge hearing the case accepted that there was a ‘degree of naivety’ about Finney’s piracy pursuits, but, he said, given the number of tracks illegally copied, and the fact the venture ran for four years, a custodial sentence was required, albeit a suspended one. Finney, previously of good character, was given a nine month suspended jail term, and ordered to wear an electronic tag and adhere to a night time curfew for four months. Money and equipment associated with the piracy operation will also be confiscated. Resale Rumble in the (Digital) Jungle – can you legally re-sell digital music? Beyoncé accused of copying in choreography row!